You have a project of a new refrigeration equipment or you want to extend or improve your existing installation. We offer specialized skills for which we are famous for as refrigeration expert for more than 30 years. We operate in numerous areas with different needs. That is why projects are studied individually in accordance with your schedule. An installation will be efficient if it is precisely sized. We start with a technical study helping to ensure we offer a reliable and relevant adive for selecting optimum solutions. In this way, we take part in a genuine approach of our clients projects. All our installations are deisgned according to an energy-efficiency model. 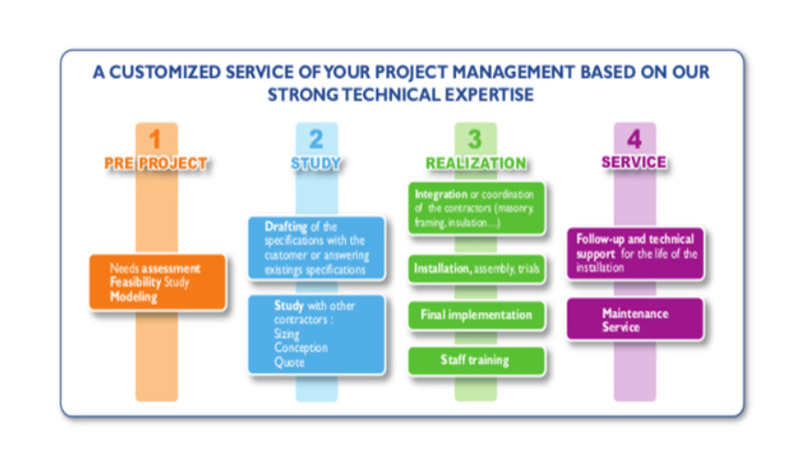 A customized service of your project management based on our strong technical expertise. Thermo Réfrigération supports its clients throughout the project management including all skills with local partners, especially for international market.